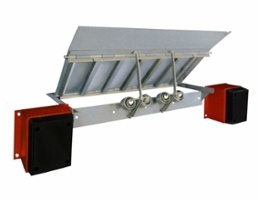 Freight depots with trucks of a consistent truck bed height opt for edge of dock levelers. They are low cost and don't require breaking concrete. 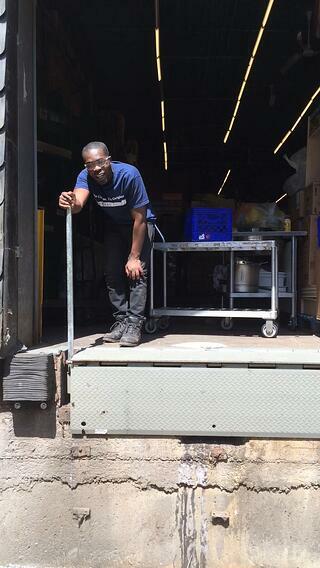 They normally mount to the face of the dock and can be placed in a small recessed pit. 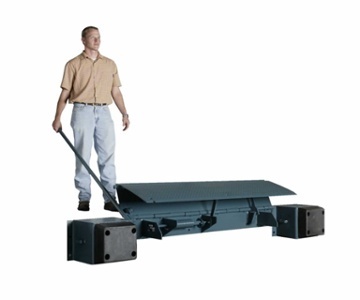 This is a light duty low cost alternative to the in pit style full size dock leveler. Also used when a pit cannot be utilized or as a retrofit. It is typically used in an environment with minimal difference between trailer bed and dock and the unit is typically mounted to the dock face. They are not recommended for high volume dock traffic! Our installation company can provide electric edge of dock levelers using hydraulic pump systems. They represent a low cost hydraulically operated unit that bridges the gap between building and truck where a minimal variance exists between dock and truck with a recommended working range of +/-3” and a maximum operating range of +/-5” above and below dock level. A standard Nema 4 single pushbutton control provides easy activation of deck and lip. It has quiet dependable operation via a two cylinder design with deck and lip cylinders. We have edge of docks in stock. Schedule an estimate today for a quick edge of dock installation by one of our service crews.